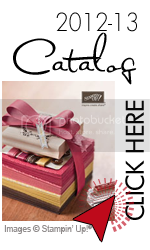 sweet sentiments: UStamp "Up on the Rooftop" Blog Hop!!!! I have been a Stampin' Up! demonstrator for 7 years and a mother of two children. I love what I do and love spreading the word about Stampin' Up! Come join me! UStamp "Up on the Rooftop" Blog Hop!!!! Welcome to the UStamp with Dawn and Friends!! Up On The Roof Top 2011 World Showcase Holiday Blog Hop. If you have been following the Blog Hop from the beginning, you have just been wowed by Tonya Boser's CD envelope treat holders...I just love those little snowmen!!!! If you are just joining the Blog Hop, no problem, as you can start at any point. All the Designer's Blogs are linked together so you will be able to see ALL the FABULOUS projects we have for you. I love the Holly Berry Bouquet designer paper for the ornaments....so vibrant and colorful!!!! The garland was made using the dotted glitter sheet and the stocking accents die for the big shot. I just love the house covered in snow from the Christmas Lodge stamp set. The Christmas Lodge DSP coordinates well with it. The house was embossed with our new cherry cobbler embossing powder....it's AWESOME!!!!! As a Special Thank You for stopping by my blog I am giving away BLOG CANDY!! 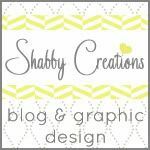 Please leave a comment about my project to be entered for a chance to win a great goodie bag of current Stampin' Up! products. I will randomly select a winner to be announced on Tuesday, so please check back to see if you are the lucky recipient! You have the opportunity to get the downloadable PDF Tutorial for my project FREE!! It's a GIFT from UStamp with Dawn and Friends!! Woohoo!! See the blinkie below to access the FREE Blog Hop Website. In the Spirit of the Holiday Season, you have the opportunity to get in on "Special Holiday Pricing" for the upcoming UStamp with Dawn and Friends!! SCORE!! Event. The Stampin' Up! Simply Scored Tool is HOT STUFF and SCORE!! will feature 40+ projects, all created using the Simply Scored Tool. SCORE!! is a MUST NOT MISS Event!! See the blinkie below to join and get in on the Early Bird savings. Everyone that joins the new and exciting upcoming event - SCORE!! - with "Special Holiday Pricing" will be entered into a Drawing to win 1 of 3 FREE Passes for an ENTIRE YEAR of UStamp with Dawn and Friends!! events!! YOU could win a whole year of UStamp with Dawn and Friends!! events FREE!! Winners will be announced on Friday, Dec 9th. and a chance to win a FREE Year of UStamp with Dawn and Friends!! events!! THE UP ON THE ROOFTOP BLOG HOP WEBSITE!! PLUS live chats, challenges and more prizes!! You will even have an opportunity to be considered for a spot as a Guest Designer!! join the fun with UStamp with Dawn and Friends!! AND last but certainly not least, it's time to hop on over to the next Designer's Roof Top, so please click below for NEXT BLOG, where you will find Dawn ready to share jingle and bling!!!! If you would like to hop back to Tonya's Roof Top, please click below. Thanks again for stopping by and Happy Holidays to YOU!! The card is Beautiful and the ornaments are great... you did good girl! Thanks for the chance at the SU Blog Candy!! I love paper ornaments, great projects and your card is so pretty! Have just the tree to decorate. Great way to display all our ideas. I have just such a tree. Can't wait to decorate it all up like this. Cute tree & ornaments. Love the Santa on top. Also, like the cherry cobbler embossed lodge. Thanks for sharing. This is one of the best sets this years. Your ornaments are great! Great idea for the stocking accessories die for the garland! Lots of ornament ideas to share with my daughter this season. So cute. I'll bet they enjoy having a tree all their own. Beautiful card. Love what you did with the Christmas Lodge stamp set and dsp. Embossing the dsp was something I hadn't thought of. Good job! Wow, this is really a great project. I love the little tree....my granddaughters would love to help make this on the Big Shot. Thanks so much. OMG!! The lodge was embossed!! I never thought of doing that and this is the set I want to do our Christmas cards for this year! Love the layout you did on this card! Fun ornaments!! The card is gorgeous...one of my favorite sets this year :) Great job!! Soooo cute! Love all the ornaments for their tree, and love the card too! What lucky kids you have! It would be fun to have a tree in every room-each decorated in a different style! Thanks for sharing your wonderful idea. Love the ornaments! Great idea for kids to do, and I will be putting some of these on the "big" tree at our house. I have always loved those 3D ornaments! The little tree is so much fun! I do something similar in the kids room but they never have enough ornaments, what a cute way to fill in the gaps. 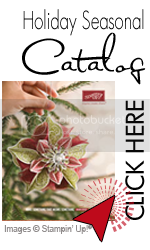 What wonderful Christmas tree ornaments and your card is just adorable! I love these ornaments and the card is just beautiful. Thanks so much for sharing. What terrific tree embellishments - love the card fold! What a cute idea. We are looking to make a small tree at work, I just might have to case yours. Thanks for sharing! Happy holidays. Beautiful Projects!!!! Love the card and the ornaments are too cute!!! I started the blog hope with you first! Thanks for the chance for the blog candy!!!! what a sweet idea. love the card! I love these ornaments...they are so beautiful and full of endless possibilities. They will make great gifts. Thanks. Great idea for a little tree with paper ornaments! Such a cute little tree! I bet the kids loved it. And fun card too! ...great idea.. great projects.. wonderful job on everything..
Great little tree. Love your ornaments and that card is stunning! I love these ornaments and the card is beautiful! Looking forward to Let's Score. Thanks for sharing your wonderful creations with us. Cute ornaments & great idea to involve the kids! Love your cherry cobbler embossed lodge - never thought of that! Thanks for sharing. Cute tree and I love the card. Thank you for sharing your time and talents. Merry Christmas. You just can't beat Frostwood Lodge! Love the ornaments and mini tree. Beth, great assortment of ornaments and a beautiful card to match. Love your creations! Thanks for sharing. How cute, I love the ornaments. I am HUGELY into paper ornaments this season :) Thanks for your inspiration. This is a cute idea. I love the stamp set - so much detail! I would love to win blog candy for once!!!! I will be sharing this ornament fun with my girl scout troop at our xmas party next week. They are perfectly easy for them to do. Thanks!!!! The card layout is so classic Christmas! I love all of it! Blog Hop Blog Candy Winner!! !